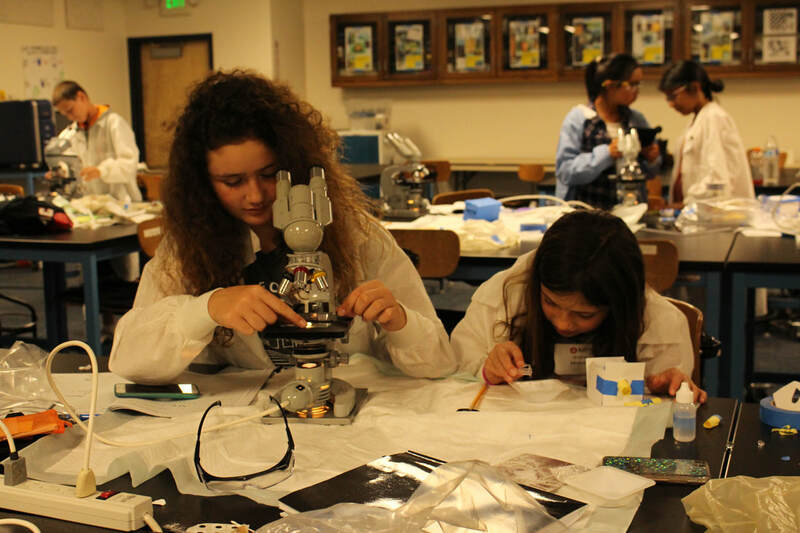 Students will be exposed to hands-on Microscopy activities. They will also learn how to keep a laboratory research notebook. Students will learn how to use the tools of biotechnology, separate molecules, quantify proteins, and insert DNA into bacteria. Students will make solutions, analyze DNA, purify proteins, separate molecules, transform bacteria, and clone DNA fragments. Kids can start programming in elementary school! Scratch, an object-oriented programming language is capable of doing all sorts of computer tasks, even designing or modifying classic video games! This summer, at the San Joaquin County Office of Education, high school students will learn how to program in Scratch and Python on a Raspberry Pi to make their own system and their own game. In this class, we will learn the basic concepts of writing code for the Arduino, an inexpensive, hobby microcontroller. Students will use makerspace tools to invent high tech creations with circuitry and programming. This workshop will present building and coding challenges as students have fun learning to build and program LEGO We Do robotic devices. Engineering concepts and creating computer code will be explored to design and program robots. New Technology is allowing us to change our reality and explore new ones. This July at the SJCOE FabLab come and investigate augmented reality and Artificial Intelligence with a new camp. We will create a simple robot that responds to what it sees. We’ll write a game where we respond to an AR ball floating on the the screen. Lastly, we’ll use our tablets to program digital items appearing in an AR world. This is a fun, introductory class using the powerful Mindstorms Lego EV3 robotics system. Students will explore electrical and engineering concepts, build various robots with different sensors, and use the computer to program their robots to respond to sensors and perform desired tasks. This is a fun, advanced class using the powerful Mindstorms LEGO EV3 robotics system. Students will explore electrical and engineering concepts, build various robots with different sensors, and use the computer to program their robots to respond to sensors and perform desired tasks including advanced problem solving. This is a day camp hosted at Durham Ferry Outdoor Education Center in Manteca. Students in grades 4-7 will participate in nature hikes, archery and fishing. We make science fun.